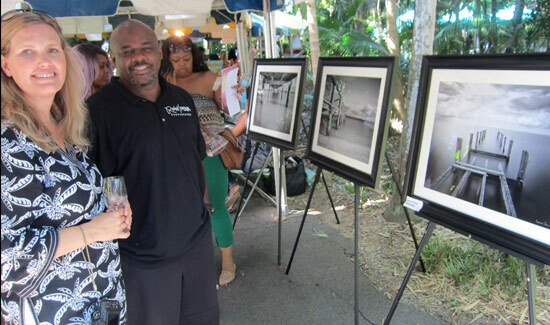 The 25th Anniversary Bahamas National Trust (BNT) Wine and Art Festival rocked and Rolle-d with irresistible live music, a record breaking 56 wines, 38 artists, culinary demos and spectacular sunny weather at The Retreat Gardens on Village Rd. As Wine Director Skates predicted, the star of the show… the about to be released in Nassau “Rock ‘N Rolle Classic,” a new French wine already top of the charts in other locales. Charismatic owners and wine makers Theo and Leon Kalkdijk of Rock ‘N Rolle Wines captivated the audience at Booth #9, providing rare backstage insights into the intriguing world of wine. from Provence, at $36.95 one of the most expensive wines on the list. Wine tasters and art fans danced their way through the shady paths of “The Retreat,” keeping time to the music of many live performers including the young percussionists from the National School of Dance, lead by John Burrows, grandson of iconic drummer Chippy Chipman. “The art was more interesting this time around,” says IT guru Alan Loane. He bought two wide blue impressionistic seascapes from Papillon. 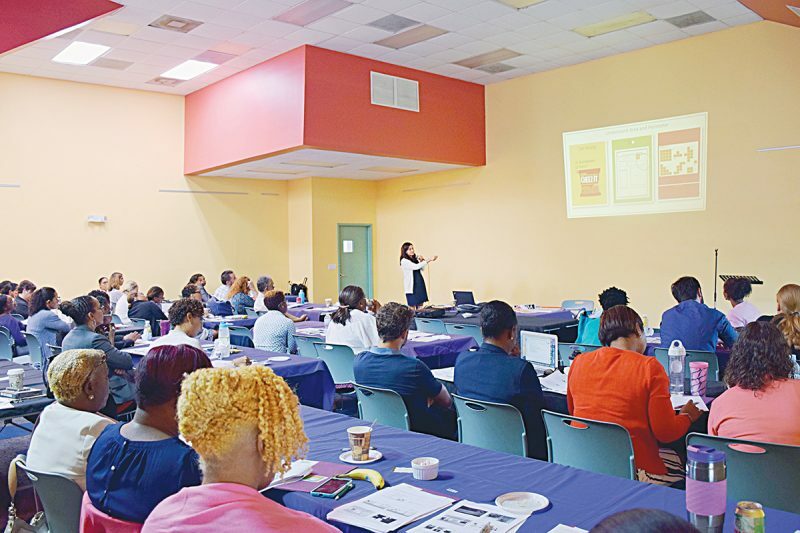 Several artists reported selling multiple works even during Members Night, held on the eve of the event. 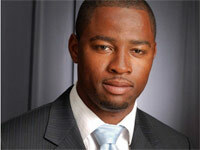 Best in show winners were photographer Rashad Penn’s striking series of crumbling docks and Mega Mergers Apprenticeship Program who passionately showcased works by students including recycled tires made into gaming chairs and accessories as well as rowing boats. 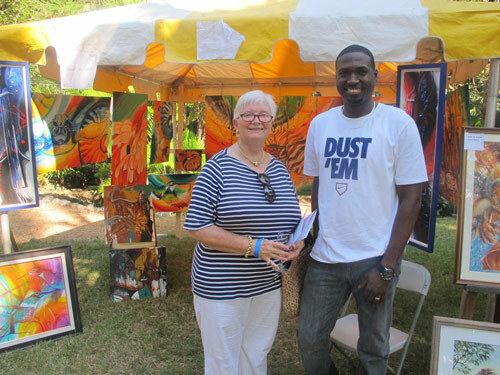 Bahamian artists live included the “Salt Artist” Allan P. Wallace, tricks and treats from Emanji Circus Arts, and Air Brush Junkies. Many of the wines will be available at sale prices at Bristol Wines and Spirits locations on Gladstone Rd, East Bay St. and Blake Rd., now through November 7. 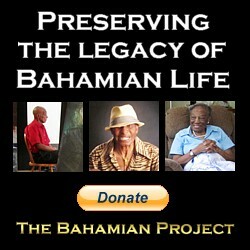 The Wine and Art Festival is a major fundraiser for The Bahamas National Trust. 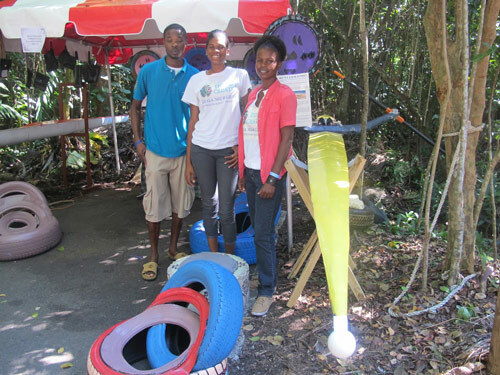 The next events to mark on your calendar are BNT Jollification Nov. 20- 22 at The Retreat Garden, Nassau; Festival Noel, Grand Bahama, Dec. 4 – 6, 10 p.m.; and Art for the Parks, Abaco, Dec. 11- 13. #1 at Wine and Art’s 25th- Ester Knowles, Customer Service Manager at Bristol Wines and Spirits, welcomed each guest. 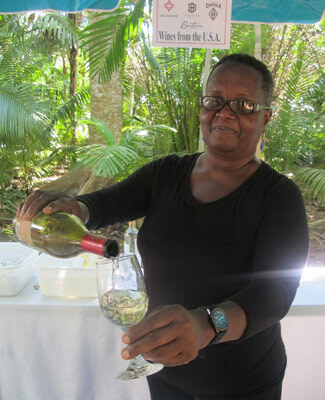 She has poured at each of the 25 BNT Wine and Arts Festivals. Here she pours the delicious #! at the # 1 Booth, Red Diamond Chardonnay from Washington State,t he perfect match for seared scallops. Rock ‘N Rolle Classic–A new French wine with a Bahamian accent, already top of the charts in other locales, launched in Nassau this weekend as owners and wine makers Mr. Theo (right) and Leon (left) Kalkdijk of Rock ‘N Rolle Wines captivated the audience at Booth #9, centre stage for the action all day at the 25th Annual BNT Wine and Arts Festival sponsored by Bristol Wines and Spirits. 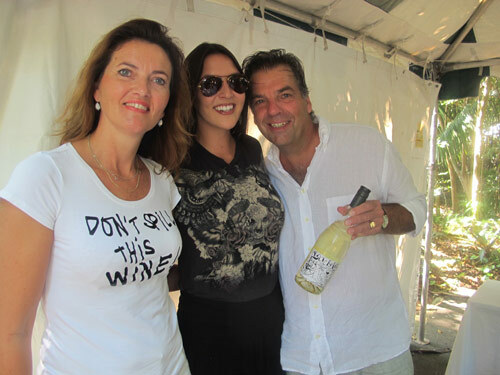 Brand Ambassador for Rock ‘N Rolle Wines, Tessa Hahn (centre) even wears the slogan “Don’t Spill” on her finger tips. into gaming chairs and accessories as well as rowing boats. 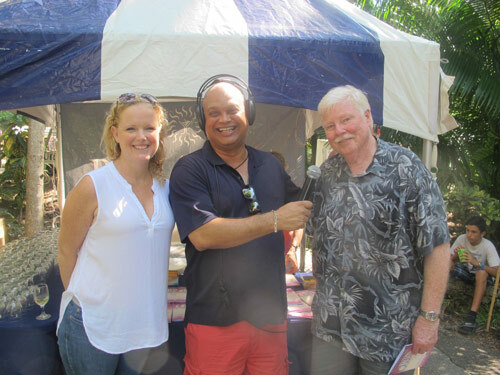 Headliners Live On Air — Popular radio personality Eddie Carter (center) broadcasting live with Bristol Wines and Spirits’ Carlynn Sands (L), Marketing Manager and Rusty Scates (R), Wine Director. Bristol Wines and Spirits is the generous main sponsor of the BNT Wine and Arts Festival for all 25 years of the event’s existence. Tessa Hahn actually is Brand Ambassador for Rock ‘N Rolle Wines.